The lead up to the festive period and the few days holiday that follow to some mean more time on the bank, for some it’s a ritual, however for myself I find it difficult to get out, usually due to getting as many things completed before the turn of the New Year. This year it’s been the same and with the weather being so wet I don’t think that I have missed much, saying that the one short session that I did fit in produced two very big fish. I met up with an old friend that I used to work with when I was an engineer at the Sandown Show and we had agreed that we would get out after Christmas. Mickey fancied Old Bury Hill and with the weather being so mild it seemed the perfect venue to catch up along with having the chance of banking a fish or two. I arrived later than Mickey who had set up in one of my favourite swims along the ‘long-bank’. The wet start to the day had past and knowing that Mickey had received the odd indication felt we had a chance of a daylight zander, especially as the water resembled a cup of chocolate. The brisk westerly also provided some much needed cover. Making up the standard new rigs on the bank I cast out a couple of sardine sections and we sat back chatting. It was Mickey who received the first proper bite but unfortunately this was missed. Mickey was using carp bobbins on short drops, not ideal especially if you’re chatting and away from the rods catching up. The missed run was blamed on me which I took on the chin so to speak. My rods remained silent, yet Mickey was getting the odd lift and fall of the indicator so changed to a couple of my home made light bobbins, yet after this the indications ceased. My rods for a very brief spell came alive though, first by a couple of small zeds and a missed run before I connected with a heavier fish that did very little head shaking. I even said I thought it might be a carp but then a good zed hit surface and Mickey slipped the net under her. Fat as a pig and in great condition, apart from the pale appearance due to the murky water she spun the dial past the 10lb mark, finally settling at 10lb 5oz. Mickey couldn’t stay and left around 5pm and could have even got to his car when another run saw another double being landed, this time she went 10lb 6oz. I fished on for an hour but my confidence had disappeared as a broken isotope had left a horrid smell on my hands and even avoiding touching the bait I still felt that this could be detected by the fish, so left slightly earlier than I had planned. Happy New Year and lets hope that 2013 is more productive than 2012! At this time of year feeding spells can be very short. I remember talking to Adrian Smith on the banks of Willow Pool in Oxfordshire a few years ago. He mentioned that he could set his watch to when the roach fed and when they did it would last just a few minutes. He had built a picture of the venue from spending hundreds of hours on the venue and had to have complete faith and confidence in his rigs, bait application and placement of these. So my top tip here is, find out when the fish are feeding and fish at these times. Even though I’m allowed to stay on at Old Bury Hill, not one angler was still fishing come the 4.15pm closing time. In fact everyone had left at least half an hour before this and two of my four zeds came before the kicking of time. The lesson learnt during this trip was to be careful breaking an isotope. Anyone that knows me will know that I don’t even fill my car up with diesel on route to a days fishing for fear of tainting my hands. Its been written about that fish have a million times better smell than a human, how accurate this is lm not sure, but if I can smell diesel then you can bet a fish can. The liquid from the broken isotope was as bad as diesel, if not worse, so once this was on my hands it was time to head for home and the next time l break one l will be wearing gloves. The week started really well with a book signing day spent at Yateley Angling Centre. It was good to see such a diverse range of anglers interested in the book as well as catching up with some old friends that I hadn’t seen for a while that took the time to pop in. It would have been great to catch up with Ruth but she couldn’t make the day, I’m sure she had heard that I was going to ask her for £25 for every time Yateley Angling was shown within the book. A big thank you though has to go to Ruth and the guys in the shop for their hospitality as well as stocking the book, so if you want a signed copy then they have a few, but hurry they wont last forever. Sunday was spent earning some brownie points and Monday in the office catching up on the paperwork that was piling up, yet the rest of the week was to be spent on the bank fishing, albeit mainly with customers. The weather however was doing its best to spoil the fun, yet a day on the Itchen with young Jake was rewarding with plenty of fish coming to his net. Unfortunately the river is really high and racing through and although Jake persisted using the float and centrepin, it was obvious that the feeder would score better and after taking around ten fish which included grayling to over the pound as well as trout he swapped to the feeder in the afternoon. Fishing one of my favourite swims he was soon into fish, the highlight a personal best grayling weighing 1lb 13oz, or was it the very large pike that struck a grayling on the far bank, three times (one for the future). The following day I was meant to be back, but with the fishery closed for its annual Christmas shot, Adrian and myself headed to another river, this time with dace and roach on our mind. The weather took a turn for the worst, yet we luckily managed to avoid this and come the end of the day Adrian had been rewarded with numerous quality roach to 1lb 7oz plus the occasional dace. The great thing again, was that Adrian wanted to use the float, so being a traditionalist I set him up initially with a centrepin which he mastered superbly, before reverting to an old close faced reel due to the lack of flow. Once again when we found the fish, predators were lurking and a couple of times one would be seen chasing the roach as Adrian hastily would it in. Thursday the weather was diabolical and having two youngsters to watch over headed to Gold Valley in search of perch. Jake was once again with me along with his friend Simon and I had visions of the day putting them of fishing, it was that bad. Fishing the main lake we decided on a specialist approach and used either prawn or lobworm on running feeder set ups. The bleeps soon came, however these were from small fish but finally the bobbin started to head skywards, but Simon’s strike met thin air. The second chance wasn’t missed and he landed a personal best weighing 1lb 8oz. Although the rain was relentless I headed to another swim and started to drip feed this with red maggots before dropping a lobworm within. A couple of small perch raised my hopes but it was the silver fish flashing about that made me change the hook from a size 8 to a small 18. The pole float constantly disappeared and knowing I could catch the youngsters a few fish let them take turns. Jake being the gentleman he is always lets his friend have a go first and with Simon catching a few good rudd finally handed the rod to Jake. It wasn’t long before Jake called for my assistance and seeing the rod bent over fully expected to see a carp on the other end, so when a big perch surfaced quickly dropped the net underneath it. I could see the joy on his face as perch have been the one species that have eluded him and when it went 2lb 9oz knew he had broken the spell. As the light faded more perch followed and come the end of the day when it was time to wind in I could see that neither wanted to. I was hoping to head to the river Wye on Friday, yet I don’t think I’m destined to do this, this side of the New Year so will just have to wait, but with loads of things to catch up with, spent the day doing just that. Wishing everyone a fantastic Christmas and rod bending New Year. Twice this week, whilst guiding, pike have been either spotted or actually chased hooked fish, so my top tip for the week is to always carry a few items of pike kit. This may only be a couple of wire traces or a few lures but with a small spinning or stalking rod and a reel with some heavy braid loaded to it, a day roving a river for other species could just throw up a big snapper. After an eventful Sunday night, which saw the girlfriend suffering with a stomach bug and myself having a restless night on the sofa, I as expected arrived at the river far later than hoped. In fact I could have so easily returned home and gone back to bed, yet after feeling under the weather myself over the weekend, really needed to get some fresh air, even if it was only for a couple of hours. For years I have had heard reports of big pike coming from a local river and knowing the stretch well decided to give it a go. Thinking about the stretch, I asked myself the question, if I were a pike, where would I live? The answer to this question led me straight to one swim. I would have loved to have been casting a line at dawn, yet as previously mentioned I arrived late so positioned two sardines with the heads cut of into the swim. Looking at my watch it was 9.15am and with the bright sun failing to reach the pool felt confident, yet thirty minutes past uneventfully. I planned to fish the swim only for an hour before moving to my next position as in the past; I know if a pike is hungry it will probably struggle to resist this easy meal. I have also learnt that by repositioning a bait, bites can come soon after; however the first rod was snagged. Luckily I was using 40lb braid so simply pulled slowly until the trebles bent straight. Placing this rod on the ground I cast out the other rod before bending back the other rods trebles, yet half way through the process the backup indicator, my bite alarm sounded. Tightening the clutch I made a short sharp strike and found the rod tip hoop over, yet whatever was on the other end was very lethargic and after an unspectacular fight lowered the net under a very good fish. If the body matched the head, this pike would have well made twenty but having an empty lean body she fell a couple of pounds short. I never like it when a pike gives up so easily and always make sure to have a good look inside its mouth as sometimes a trace can be found blocking its throat but this one was clear. I must have taken her by surprise. Having made very little disturbance in the swim I decided to ignore the second swim and fish on for an hour, however no more action came, yet having not fished the river for pike for, probably fifteen years, it was a great welcome back. The following day I had a customer booked in who wanted to try and catch a two-pound roach, however overnight the temperature dropped to a chilling minus four, in town, and when the customer knocked on the door at 6am I questioned our sanity. With an hours drive on icy roads ahead and with a very good chance of the venue being frozen we decided to check out a local lake and as expected found it to be frozen. Plan B was introduced and we once again headed to the river with a couple of pike rods as well as a chub rod and a ball of cheese paste, however come dusk neither of us had managed to get even the slightest of indications. Wednesday arrived and being the 12/12/12 it had to be the busiest days of the year for wedding photographers and having to arrive at the hotel at 8am it was once again an early start. The day went well, however it was around 10pm when l arrived back home and come 1am and having polished of the best part of a bottle of red I hit the sack, well and truly looking forward to a lay in. Thursday was all about backing up fishing images so that my computer speeded up, ready for a few hundred wedding images to be downloaded. A quick look at the barometer showed the atmospherics falling rapidly that evening and with temperatures rising overnight and a band of rain arriving, I decided to head to the river come first light on Friday armed with a pike and chub rod. To be honest, if I had had time to think about things, I should have waited for the warm wet front to arrive, then head to the river during the afternoon with a barbel rod, yet the rash decision had been made and I arrived once again at the crack of dawn. The rain hadn’t arrived and although the air temperature was a warming seven degrees I sat at the pool feeling that this change wouldn’t have awoken the pike and that the river would still be very cold. An hour past and after repositioning the bait a couple of times decided to try my luck with the chub. Moving downstream and with a few slices of bread in the bag I made a cast into a almost certain chub guaranteed swim and sure enough just two minutes later had a modest chub in the net. Having ruined that swim for a monster I headed downstream and in my third swim once again ruined my chances of a whopper with another three pounder. By now the rain was hammering it down; in fact it had been hammering it down since I swapped to chub and having covered all the hotspots headed home in time for a delivery of winter clothing to check out from Anglers Mail. On route back to the car I checked out a big dead chub that I had spotted on Monday. Back then it was fully in tact, yet just five days later had been stripped to the bone. I don’t think this chub had been killed by anything, as it showed no sign of this on Monday; however that same day I had watched a big mink on the opposite bank and could see how an angler could have mistaken this for an otter and put two and two together. The sad thing about this chub is that it had to be one of the biggest chub, if not the biggest chub on the stretch, a sure six pound plus fish in its prime and knowing that each year the numbers of chub are dropping, worry that in a few years time I will be fishing for very few big fish. 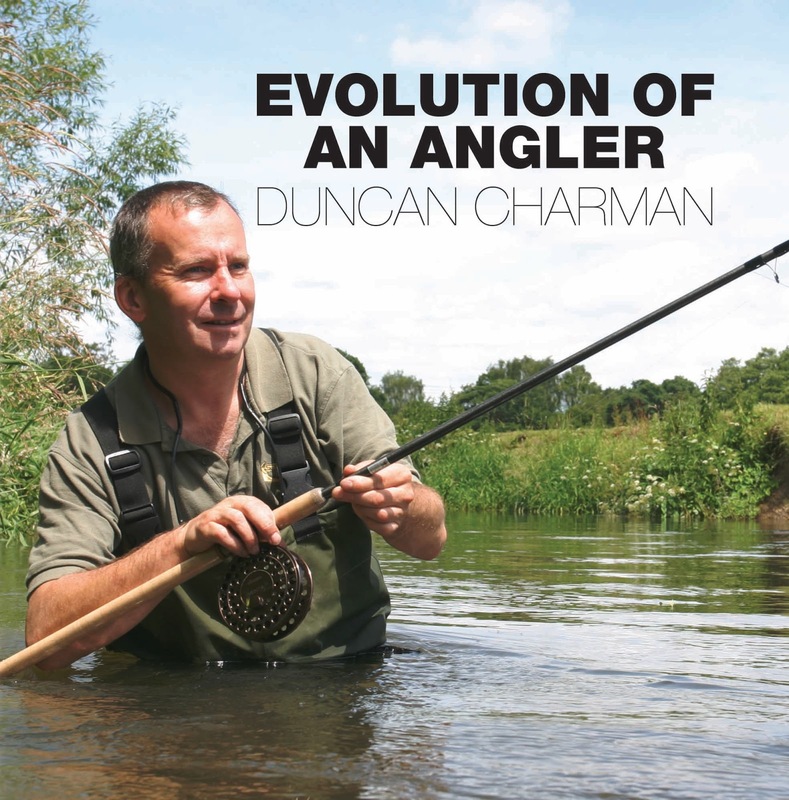 Saturday I will be spending the day at Yateley Angling Centre, signing my first book ‘Evolution of an Angler’ so if you want a copy signed; you know where I will be. Anyone that has read Terry Hearn’s books will know how he goes about sussing a venue out. Similar to myself, he uses watercraft to dismiss a very large percentage of the venue. He will then try and think like a fish and imagine (if he can’t see them) where and what they are up to in the remaining area. A stillwater is similar to a river and in the case of locating Mondays pike; I to dismissed a very large percentage of the river, using watercraft and my instincts to place me in the right place. So the top tip this week is get to know the venue you are fishing and the lesson learnt is, it only takes a second to get a bite and there’s plenty of seconds in an hour! Top tip for the week and lessons learnt. With the ground saturated, any overnight rain, however slight will run of into the rivers and this week, on two occasions, I have underestimated the flow. Although tactics have been right I could have done with slightly heavier feeders in my tackle box. These would have made fishing a few swims on both the Loddon and Itchen easier, yet saying this, don’t go casting a big feeder in a swim from the start as all you need is a feeder that just holds bottom. The main image shows a sad moment, as I was watching the water at Westhampnett, one of my favourite water at first light on a frosty Tuesday morning thinking whether to believe the reports that the fishery had lost its population of perch. Although the weather was far from ideal, when I packed up after fishing for seven hours, through what is usually the best feeding period, I was still asking the question. Up early again on Tuesday, this time for a chub guiding day on the river Loddon. The journey took slightly longer due to a heavy flurry of snow at fleet and with temperatures below freezing most would have abandoned the trip, yet past knowledge gained has told me that, even in the coldest conditions, if you can get a bait in the water, then chub will feed. Neal had arrived moments before me and as we crossed the bridge and looked at the river, my heart sank slightly as the expected green tinge had been replaced with a weak tea colour. Neal hadn’t fished a river for over a decade and wanted to try something different and although I know the river well and have total faith in my tactics the thought of struggling myself a couple of weeks ago was clear in my head. Getting of to a good start was what was needed and I knew just the swim. Walking across the frosty fields bought home that winter had finally arrived and after a brief explanation of the simple bread flake rig we made our first cast. Ten seconds past when the tip twitch, pulled round but Neal’s strike met thin air. Second cast the same happened but the third bite saw the rod bend over and after a brief fight Neal netted a chub weighing 4lb 8oz. A forth cast was chanced yet just the occasional twitch showed that more chub were around, yet as l have come to expect, once spooked they are difficult to tempt on such a small river. Although Neal had a whole day to learn the basics to fishing bread flake, l can honestly say that he had done this in less than half an hour! The next swim drew a blank, yet the third produced another four-pounder, a right result on such a cruel day. The forth swim, another banker failed to produce, yet with a large mink working the swim, this didn’t come as a surprise. It was now time to move around spending ten minutes in every likely looking spot before dropping back into the first swim, this time with cheese paste. Unfortunately our efforts and bait changes went unnoticed as did a spot of float fishing through a known chub hotspot. Obviously it was one of those days when the bait had to be placed right on a chubs nose and with a banker swim well downstream, on another stretch, we decided to move. The snow filled clouds had now disappeared, replaced with a warming sun, however approaching this new swim in a stealthy manner, due to the sun sending long shadows across the river was impossible. Sitting in a swim with two shadows visible on the far bank and knowing the bait is right below these does little for the confidence, yet amazingly the tip twitched, pulled round and the third chub of the day was safely netted. Two more swims were tried, one of which was ruined by a pair of swans and with the sun and temperature dropping away we called it a day. What a contrasting day, far from ideal, and extremely cold, yet with three good chub netted in fantastic countryside hosting an array of wildlife l was hoping that Neal had been converted, and when he mentioned he couldn’t wait to get back, l knew we had both had a great day. Dear Duncan. Thank you for another superb days guiding. Despite conditions being pretty awful I still managed to catch some decent chub. Once again you've opened up another angling door for me. I shall be returning to the Loddon for some more winter chub fishing very soon. Great teaching and great company! I was looking forward to a guiding trip to the Itchen at the end of the week and imagined the river to be perfect, yet once again on arrival l was shocked to see it high and fast. Luckily the river was running clear which gave us a fighting chance, yet with a North West wind gaining in force by the minute we soon realised that catching on the float would be difficult, even for an expert on the pin. Mark had never caught a grayling before and not having fished the float for a while and only using his centrepin on a few occasions soon got into the swing of setting the float on its way and feeding, yet the banker swim of previous weeks only produced one bite which was missed. Finding a slightly sheltered swim Mark soon was bent into a fish, the first of numerous brown trout but we were of the mark and confident of a grayling or two. With a couple of other anglers uncomfortably close on such a long length of river we decided that it would be us that showed the correct etiquette and moved upstream to a pool that holds plenty of fish. Impossible to fish the float even in normal conditions we decided to put the feeder into action and within seconds the tip twitched and a brown trout was netted. More followed before a Mark found himself playing a fish that felt different and he was right as a grayling of around a pound six graced his net. A few smaller pencil grayling followed along with trout before the swim died, yet as l was wondering upstream to look at other swims l heard Mark shout and saw him netting what looked like a good grayling. Weighing 1lb 11oz it was a great personal best and a good fish on a difficult day, yet Mark wanted to catch grayling on the float and pin, so we headed back to the swims fished earlier in the day. Whilst Mark fished the float, I tried the feeder getting bites in most swims, yet it seemed a moving bait wasn’t what they wanted as Mark was struggling. Moving from swim to swim we finally had a grayling taking maggots up in the water and as the float made its way downstream soon disappeared and Mark’s first grayling on the float came to hand. Strangely it seemed that as the light faded the grayling switched on and more followed which was the icing on the cake after an enjoyable day even though river conditions were far from perfect. December 1st 2012 will always be a day that I remember for two reasons. 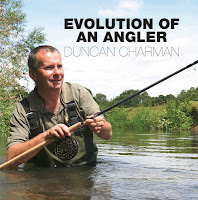 The first will go down as one of my proudest angling moments as it was at the Sandown Carp Societies Show that I launched my first book, Evolution of an Angler. Many will know just how long this project took, the best part of a year, during which time I had to sacrifice time on the bank. Luckily my decision to write came at a good time as this year has to of been one of the worst in my living history and anyone who has been able to catch consistently has done well. I managed to get a sneaky preview of the book in its finished state just two days prior to the show and the end product is more than what I had envisaged, so I must thank Paul, Cliff and all the team at Calm Productions for their expert advise and guidance. Arriving at the show around 8am on a frosty winter’s morning, I couldn’t have been welcomed more warmly and when I looked at the book laying next to me I felt quite honoured as it was Matt Hayes ‘Fisheye’. The other side of me were two of, what I call angling gents, Steve Fantauzzi and Ben Hamilton from ‘Thinking Anglers’ who kept me company all weekend. Although Mat was in demand all weekend he did ask if he could look at the book and whilst doing so we had a great conversation on fishing with our dads. Other angling greats were on the stand, Terry Hearn, Nigel Sharp, Gerry Hammond, and Terry Theobald all of which gave me a warm welcome as did Martin Bowler who ever wished me good luck with the book, so to all involved over the weekend, thank you. Rosie will also noticed that I have started to correct my bad habit! If you didn’t get to the show but would like a signed copy of my book then I will be at Yateley Angling Centre on Saturday 15th December between 10am and 4pm. Look forward to seeing you then. The second part of the story is that after more than five years at Korum I have decided that I need a new challenge. The hardest part of the decision was knowing that I would be leaving a group of anglers that I can honestly say have been brilliant. Working closely with anglers such as Chris Ponsford, Ade Kiddell, Dai Gribble, Nigel Botherway and Gary Knowles has been fantastic and I must thank them for all their kind words, some I have to say has put a lump in my throat. All the best guys and look forward to catching up some time. Time to look forward and once again feel fortunate to be associated with an angler that has been kind to me for many years, one that noticed my potential more than a decade ago and took no time in signing me as a sponsor for the company he worked for then. Paul Garner isn’t just a brilliant angler, he’s an angler that I respect highly and being able to call him a friend as well means so much. Once again I feel relaxed, yet revitalised and for the first time in a while I’m looking forward to getting my teeth into some serious campaigns and doing what anglers know me for, catching big fish, however this time l will be wearing the Nash Peg One logo on my sleeve. I must also apologise for my lack of blog entries. You will start to see these becoming more frequent and I will be keeping you updated to what I am getting up to, catching, along with some tips that might just help you catch a few more fish.